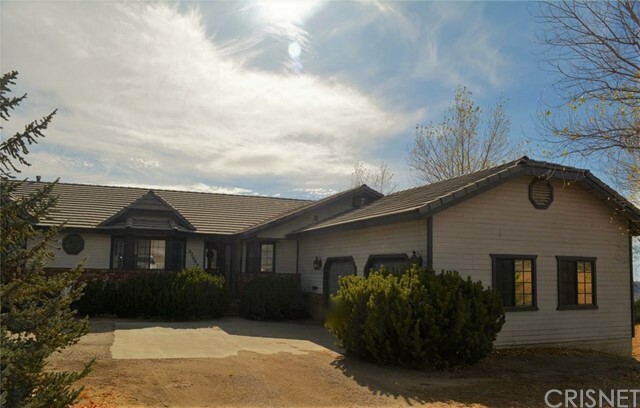 All Bear Valley Springs homes currently listed for sale in Bear Valley Springs as of 04/23/2019 are shown below. You can change the search criteria at any time by pressing the 'Change Search' button below. If you have any questions or you would like more information about any Bear Valley Springs homes for sale or other Bear Valley Springs real estate, please contact us and one of our knowledgeable Bear Valley Springs REALTORS® would be pleased to assist you. "Super clean and well maintained 4 bedroom and 2 bath home in gated community of Bear Valley Springs. The home is on a superior lot in this community. Home is currently used as a licensed assisted living home. This business lease concludes in September of 2019. A lease-back until September 2019 will be required from the buyer. Please contact listing agent for more details." "Absolutely stunning 4 bedroom, 3 bathroom home perched on one acre in the beautiful mountains of Bear Valley! You are welcomed through the front door of this fabulous home with high ceilings, elegant crown moulding, exquisite chandeliers, recessed lighting and the large open floor plan you have been waiting for. Breathtaking gourmet kitchen design featuring beautiful quartz counter tops, wood cabinetry and stainless steel appliances. Private Master Suite with a fireplace in the sitting area, luxurious master bathroom including a jacuzzi tub with an amazing view, his/her sinks and spacious separate his/hers walk-in closets. Three large cozy bedrooms, beautiful guest bathrooms and indoor laundry room with a sink. Four stall equestrian barn with sliding doors, tack room and a wash rack inside the barn. Three car garage with RV parking. Meticulously maintained backyard with 2 huge covered patios and absolutely perfect for entertaining guests for any and all occasions." "*Exclusive Bear Valley Springs Gated Community*Ranch Style *Single Story*360 VIEWS*Custom Home*Built in 2005*4 BR*3 BA*2,356 SF*3-car Garage*Open Concept Floorplan*Stone Fireplace*Vaulted Ceilings*Tray Ceilings*Ceiling Fans*Custom Tilework*Bamboo Flooring*Custom Mouldings*Baseboards*Wainscoting*Eat-in Kitchen*Stainless Appliances*Granite Countertops*Walk-in Pantry*Four Seasons Room / Observatory*Master Suite*En-suite Roman Spa Tub with Separate Shower*Walk-in Closet*Indoor Laundry*Water Softener Filtration System*Additional Detached Massive Deck Cantilevers over the property*Open Attached Patio*Views of Mountains and Valley Below*View Nightline City lights in the Distance*Huge Secluded Property Location*4.24 Acres*Unique Rock Formations on Property*Security System*Additional Security and Safety of a Person-Guarded Entrance with its own Police and Fire Departments for the community! Bear Valley Springs is a 25,000 Acre Equestrian Community see Bear Valley Springs Association for complete list of amenities*Championship Golf Course*Pool*Spa*Tennis*Lakes*Equestrian Center*Trails*Hiking*Nature Paths*Historical Preserve*Indoor/Outdoor sports*Athletic Fields*Camping*Dining & Entertainment*Dog Park*Recreation Centers *Whiting Center*Annual Events*Fire Dept*Police Dept*24/7/365-Manned Front Gate Security*Unique Lifestyle Year-round Fulltime, Vacation, Weekends, Retirement, Forever!" 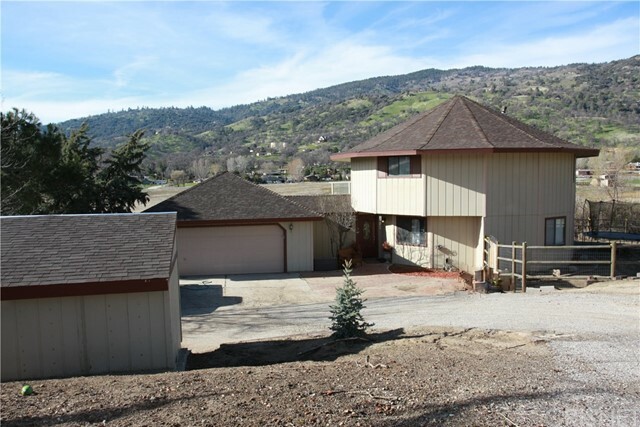 "This home has one of the most spectacular views of Cummings Valley it is truly a one of a kind. Sitting on over 9 acres. This home was designed for entertaining. Formal tiled entry with sunken living room wood fireplace, den, 4 bedrooms, master offers slider to covered deck and large private bathroom. Home has new heating and air unit & low flow bathroom features. Making this home even more unique is the large dining area that opens to an expansive kitchen with over-sized, high-end Wolf stove. Gorgeous trees and easy care landscaping surround this beautiful home." 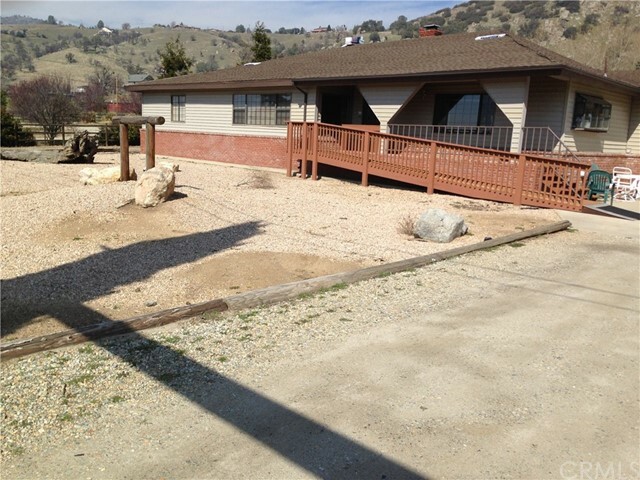 "Own your own Slice of Bear Valley Paradise with this beautiful 3 bedroom/2 1/2 bath home. Enjoy 3.21 Acres of stunning property and a location that puts you in the Heart of Bear Valley Springs while being on the valley floor. The newly constructed back deck offers pristine views of the valley and the local wildlife. The renovated kitchen boasts tons of storage, granite counter-tops, a gorgeous granite island/dining area with newer appliances. The great-room offers, vaulted ceilings, a beautiful pellet stove and outstanding views throughout. The master, w/on-suite, has a private access to the back patio and views that will delight. 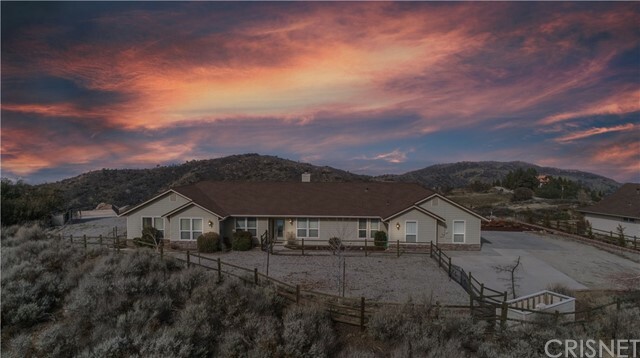 Located in the Resort-Like community of Bear Valley Springs, with 2 lakes, a golf course, tennis courts, country club, close to 50 miles of hiking and horse trails, an equestrian center, swimming pool, Jacuzzi, sauna, workout center, shooting range, etc... all encompassed in a gated community."